CAT 2015-2016 Online Application Form - Notification : 1. CAT Application Form 2015 – Common Admission test (CAT), In India, CAT is popular and specially well known examination to take the admission in Top Business colleges. 2. In India for Post graduate as MBA. IIM (Indian institute of Management) is the organizer of this exam and used to organized this exam every year. CAT exam is done in the online mode. In Ahmedabad, Bangalore, Kolkata, Lucknow, and Indore there are the famous colleges of IIM located. 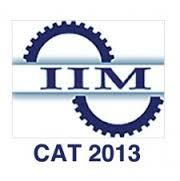 Large no of applicants approach the CAT exam,competitions is also too high for the CAT exam. 3. Now IIM has been announced for registration for 2015. By July applicants can buy Voucher for CAT exam and last date of voucher is finalized Sept. 2015. Applicants can also buy voucher through online and offline mode. 4. Eligibility for CAT examination is as follows:- Applicants those who are having bachelor degree in any field with minimum 50% they can apply for CAT examination 2015. Also marks obtained in bachelor degree will be analyzed by IIM and depends on university.Grades are offered to applicants on the basis of university and it will be converted to marks with standard rules of IIM. The applicants who belong to reserved category having 45% in degree will be able to apply for the CAT examination. 5. Reservation in CAT examination also applicable and standard as per Govt.Rule. For other backward caste(non-creamy) - 27% seats are reserved. Note: For applicants, who belong to reserved category, should have caste certificates at the time of interview. If their caste is not listed applicants will be treated as General Candidates. 8. Candidates if you want to received all latest updates about CAT Admit card, answer key, results 2015 we will update via Facebook, then join us on Facebook page. Candidates Touch with us for more updates or book mark this page for future reference.